Awa Sal Secka as Aida in ArtsCentric's production of "Aida"
It's Thursday, and that means our theater critic, J. Wynn Rousuck, joins us for her weekly review of one of the region's thespian offerings. 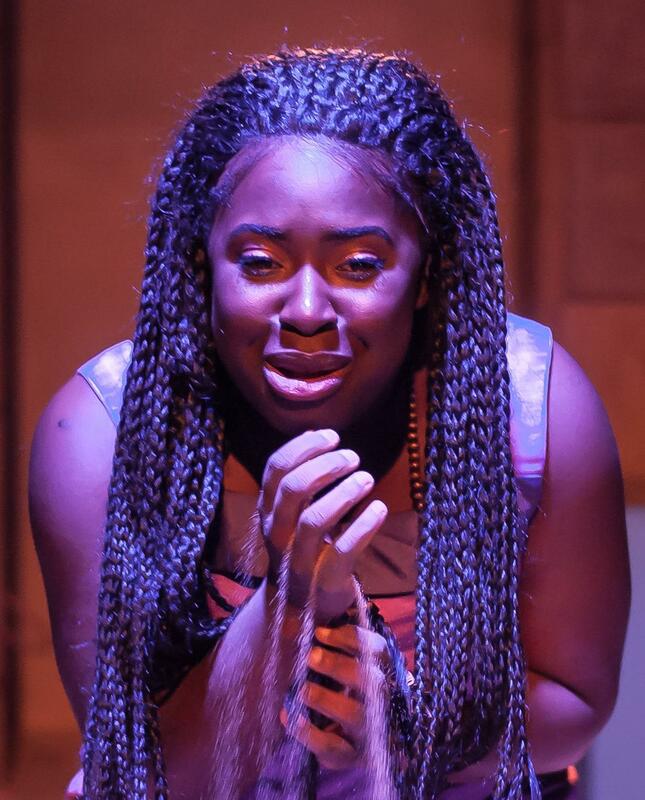 Today, she spotlights a show about love and loyalty: ArtsCentric's new production of Aida, on stage at the Motor House on North Avenue in Baltimore. This Aida is not the famed Verdi opera, but rather the Disney-produced version (with book by Linda Woolverton, Robert Falls, and David Henry Hwang and tunes by Elton John and Tim Rice), a multiple Tony Award-winning pop musical that premiered on Broadway in 2000 and ran for four years. Like the opera, it tells the tale of forbidden love between a Nubian princess named Aida (played by Awa Sal Secka) and an Egyptian soldier, Radames (played by Jo'Nathan Michael). Radames' engagement to the Pharaoh's daughter, Amneris (played by Kanysha Williams), and Aida's loyalty to her people threaten to tear apart their star-crossed romance. Directed at The Motor House by Kevin S. McAllister, Aida presents a bevy of Elton John/Tim Rice compositions, including "Elaborate Lives" and "The Past Is Another Land," and showcases the work of musical director Cedric D. Lyles and choreographer Shalyce N. Hemby. ArtsCentric's production of Aida continues at The Motor House through August 26th.